For Erica Shiner, 2015 marked the year she first launched herself into the world of feminist activism. 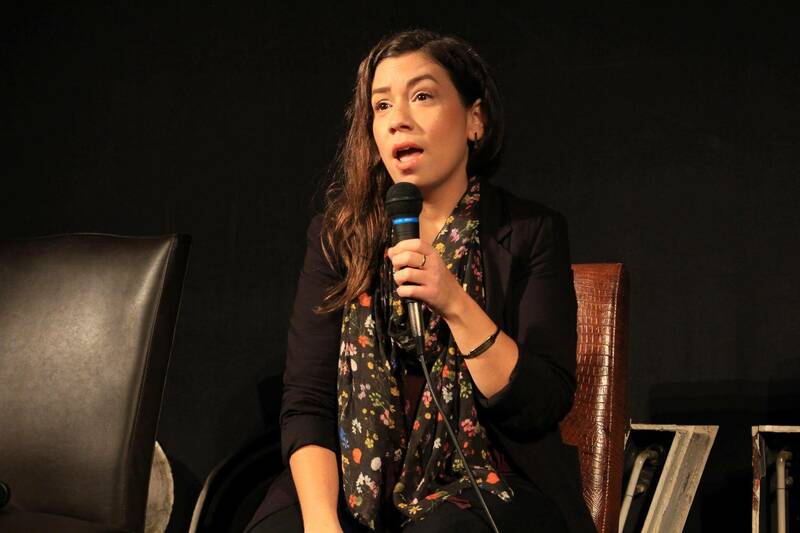 Later that year, she also joined Roncesvalles-based Revue Cinema’s board of directors. “It’s a community-run not-for-profit, so there’s always a lot of opportunity for doing fundraising stuff there,” she says. A year later, Bechdel Tested was born. The bimonthly series hosted at the Revue aims to screen women-centred, Bechdel-approved films about different industries, each preceded by a Q&A with industry experts. “I wanted to use cinema to bring people together,” she says. “It was really important to me to do something that supported women in their careers, because … we’re the first few generations of women who were even allowed to work in so many industries.” Through Bechdel Tested, Shiner wants to create a space where women can learn from each other—not only about how to enter different industries, but also how to overcome gender-based issues in those industries. The Bechdel test was first created in 1985 by American cartoonist Alison Bechdel. In order for a film to pass the test, it has to have at least two women in it who talk to each other about a topic that doesn’t involve a man. It offers a more nuanced method of evaluating female representation—that women are not only portrayed on film, but that they are portrayed well. The series’ latest segment, Women in Religion, screened the 1983 film Yentl, starring Barbra Streisand and featured panelists like Cheri DiNovo, MPP and queer critic-turned-minister, and Farheen Khan, an activist and author. Attendees were served pink “Holy Water” cocktails from Swan Dive, a bar owned by Shiner’s sister. This month’s event, Women in Politics, will screen Election starring Reese Witherspoon. The panel will include Toronto city councillor Kristyn Wong-Tam and Michal Hay, Jagmeet Singh’s campaign manager. Shiner is mindful of having inclusive and diverse representation at the screenings—something she admits is more difficult with the films themselves. “It’s already hard enough to find films in a particular industry where women are central,” she says. 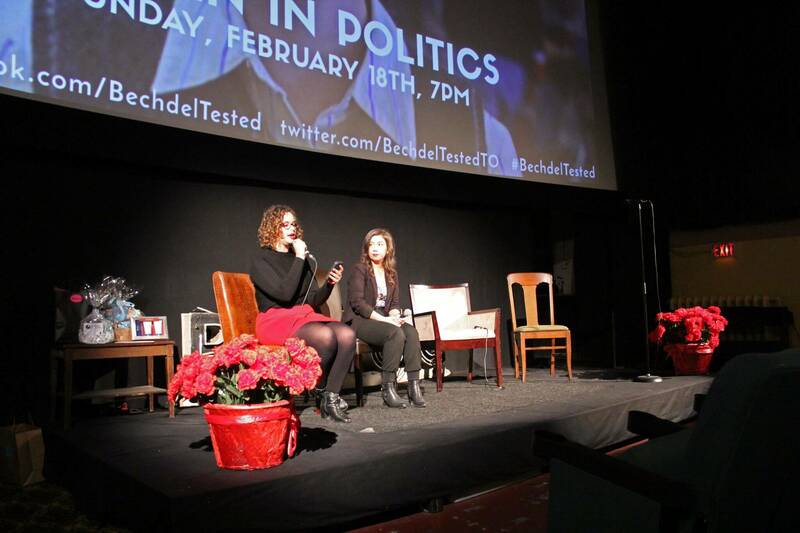 Bechdel Tested’s next screening is set for February 18. Shiner says future plans for the series are not yet public, aside from wanting to expand into areas outside of film. CORRECTION (02/15/2018): A previous version of this story incorrectly stated that the series hosts their Q&As after screenings of their films. This regrets the error.